The Sea & Sea VF45 1.2X SLR 45° Prism Viewfinder for MDX Series Housings is a focusing tool to be used with your MDX underwater housing for your Canon or Nikon DSLR camera. The eyepiece rotates 360° in increments of 90° to give you the ideal camera position in both landscape and portrait. The 45° prism viewfinder is great for all conditions, but especially designed for macro photography, when the camera is often positioned lower than the photographer. The eyepiece is designed to keep out unnecessary light, allowing you to see only clear and precise images. 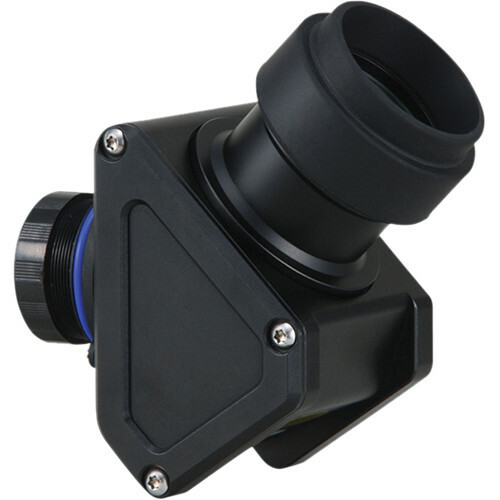 This unit covers the entire field of view and features 1.2X magnification. It can be used safely at a maximum depth of 328' (100 m). Box Dimensions (LxWxH) 5.0 x 4.5 x 4.0"